The history and bloodlines of Adel v.Leonberg have passed to White Cliff Shepherds. Since 1981, we've specialized in very white, short coated German Shepherds with very strong black pigment, good temperament and high intelligence - ideal for service dogs or family pets. We have also had double coated white Shepherds with caramel saddles. As a breeder, trainer and owner I offer my own testimonial of the deep connections I have shared with my caramel-saddled German Shepherds. Our breeding dogs earn their CGC and OFA certification. We give a hip and health guarantee on all of our pups, worm them twice and treat them for coccidiosis. Our puppies are proven to be trainable in both Schutzhund and Service work. As a trainer, I prefer to keep my pups for twelve weeks so that when your puppy arrives it will be potty trained and adept in the seven basic commands (come, sit, stay, down, off, heal, no). 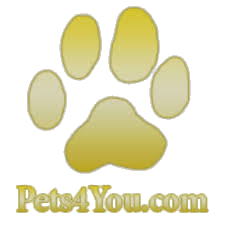 We guarantee you will be satisfied, however should there be a problem we are more than willing to work with you to place your puppy in another home. Each of our puppies are very well socialized, born and raised in our home among our children and other canine friends. They receive individual care and attention daily. The White Shepherd is a direct descendant of the German Shepherd, emerging from white-coated German Shepherd bloodlines. Its high degree of intelligence and sense of loyalty have allowed it to become one of the most versatile working dogs (or pets) in existence. The White Shepherd has a distinct personality marked by self-confidence. The breed is poised, but when the situation demands, they are eager, alert and ready to serve in any capacity. White Shepherds demonstrate both herding and protective instincts. With those they know, the White Shepherd is open and friendly. With strangers, they are observant and may be somewhat aloof but not apprehensive. They enjoy running, playing fetch or any activity with their human family. This is a joyful, active, intelligent and easy to train working dog with the ability to adapt and integrate to all kinds of social events and situations. Timidity in a mature dog or aggressive behavior is not typical of this breed. White Shepherds are very loyal and tend to be especially protective of the young of various species. With their playful and curious personalities, they make wonderful companions although some do have the tendency toward being quite vocal by exhibiting whining, grunting, moaning and sometimes howling. It is a historical fact that a White German Shepherd was the Grandsire of Horand von Grafrath, born In 1895, the dog who is acknowledged as the foundation dog of contemporary German Shepherd Dog bloodlines — from that time forward, the Color white had a genetic pool within the color variations of the German Shepherd Dog. In the United States, the White German Shepherd appears throughout the history of the breed. In the early 1920’s, Ann Tracy (who owned one of the first two German Shepherd champions on record In America), Imported some of the finest German show stock to this country and white puppies showed up immediately in her litters. In 1917, the first White German Shepherds were registered with the American Kennel Cub from Ann Tracy’s kennels. In the 1920’s, German-bred White German Shepherds were imported to the United States by H. N. Hanchett of Minnesota. Thank you for your interest in our beautiful White German Sheperds!